The role of an electrician is to bridge the gap between us and electricity. Our homes and our businesses would be very dark and cold without them. Whether we are looking for help with our electrical problem, or we are looking for insight into the career aspect of an electrician, we often assume that one person is trained to work on anything electrical- this is not the case. The factors that generate differences between being a commercial versus a residential electrician are quite vast. Although your wage may increase, your knowledge will expand, your experiences may be vast, knowing and understanding the basic material and scientific differences are very important. To even think of being shocked, or stuck by electricity is a frightening thought for most of us, and we rely on these trained and experienced people to ensure our businesses are bright and our homes are toasty warm. Knowing the difference between a residential and commercial electrician is something we ought to pay attention to. Whether we are looking to hire or not. The voltage says it all. The larger the job, the higher the voltage, the higher your educational level must be. In order to work on commercial electrical systems, you must be well equipped to handle the higher voltage the job will have. Wiring up a house takes minimal voltage, or what a professional like Sullivan Electric Company, an electrician based in Merchantville, NJ, would refer to as a single phase power, which is 240 volts. When we think of electrical we think of wires, lots of wires. Wires are one of the biggest differences between a commercial and residential electrician. Common sense says: the larger the job, the larger the pay. This is true for the most part. While you will have a higher salary working as a commercial electrician, you will also have longer hours. You also have to spend several hundred hours as an apprentice before the dollars start rolling in swiftly. Hiring a residential contractor can be as simple as opening up your preferred web browser, and searching for the business with the best reviews, however, it is best to do your research. Different people are trained to do different electrical work. 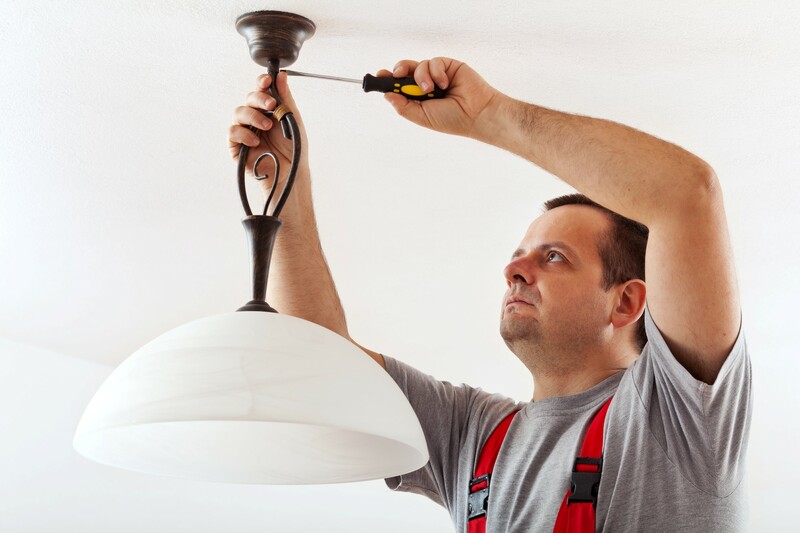 We know that there is always a need for a quality tradesman. When it comes to your home, or to your business an electrician with the knowledge and skills to complete the job for a reasonable and fair price will always be in business. Keeping that in mind, when we do our research you are able to get your task completed with fairness to you and your electrician. Aside from the materials and the dollars, your entire trade experience will differ if you work as a residential electrician over a commercial one, and visa-versa. While an Industrial position as an electrician will provide the most money, if you are looking for experience and variety then a commercial electrician is your best path. If you don’t believe me, rioxx has some very powerful and contrasting opinions on the subject. Homes will always be homes, they will always be smaller dwellings and you will usually be working with materials like wood and drywall. Where if you worked commercially, we know that these systems will need repairing and updating, which means working with conduit making the electrical wiring more easily accessible. The one thing we know for sure is, each electrical category has their own ups and downs. Although both commercial and residential electricians have their variances, they seem to be the best route in regards to the job, the materials worked with, and the all-around trade experience. If you are solely looking for coin, then the industrial route is the way to go. You may want to start out as a residential electrician and eventually move towards a more commercial career. The voltage is higher, the money is higher, and the risk is also higher. Everybody is different and all you can do is ask the right questions and figure out what you as a person relate to best. The average salary tends to increase when you choose to defer from being a residential or commercial electrician. Plus, the hours are quite long and grueling. The voltage, the wiring, and the structural building materials are all major differences between residential and commercial electrical systems. You cannot work on a commercial system unless you have the man-hours logged in order to deal with more than a 240-volt house. Be sure to hire the correct electrician for the correct job. We now know that each and everything we build requires an electrician- no matter how small.